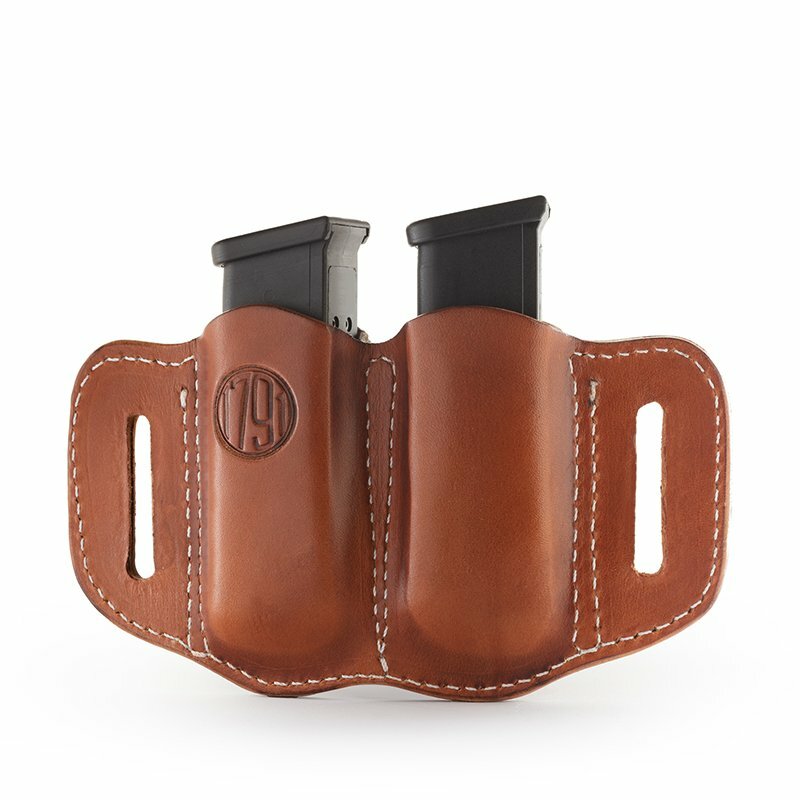 The Mag 2.2 Double Magazine Holster for Polymer Double Stack Mags by 1791 Gunleather is designed to perfectly match your gun holster of choice with attractive, vegetable-dyed premium leather in classic shades of brown or black. 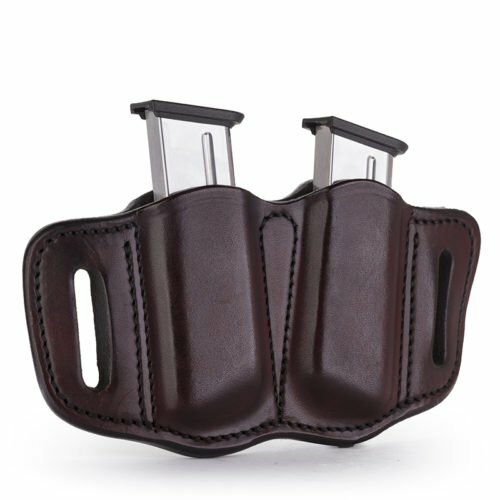 When you need to carry additional magazines with your firearm, we’ve got you covered with a double stack magazine holster that fits most standard polymer double-stack magazines. 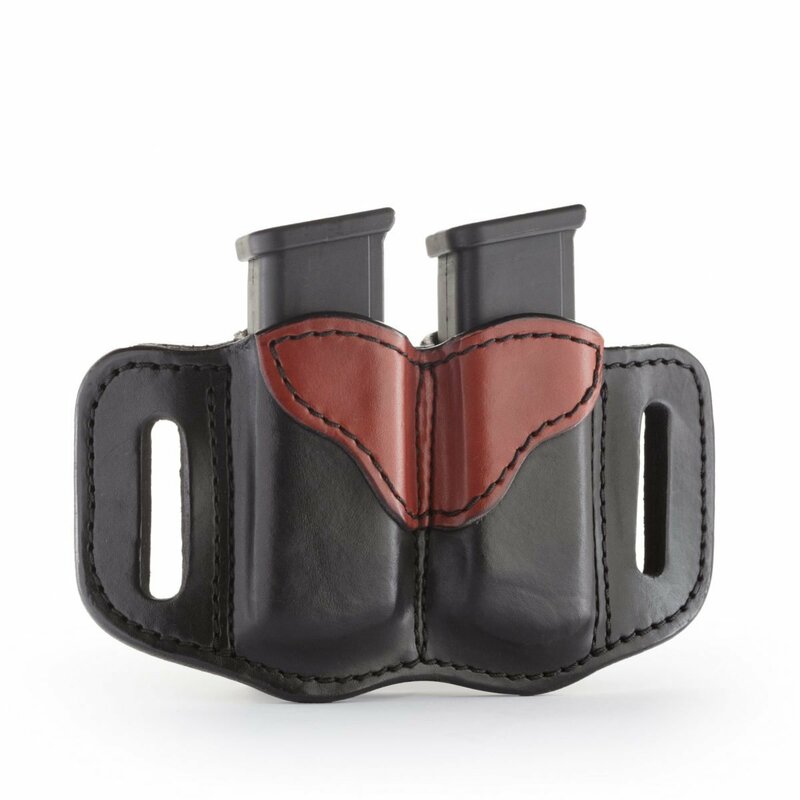 The Mag 2.2 leather magazine holster measures 4.5 inches high by 8 inches long, designed to fit two POLYMER double stack mags. 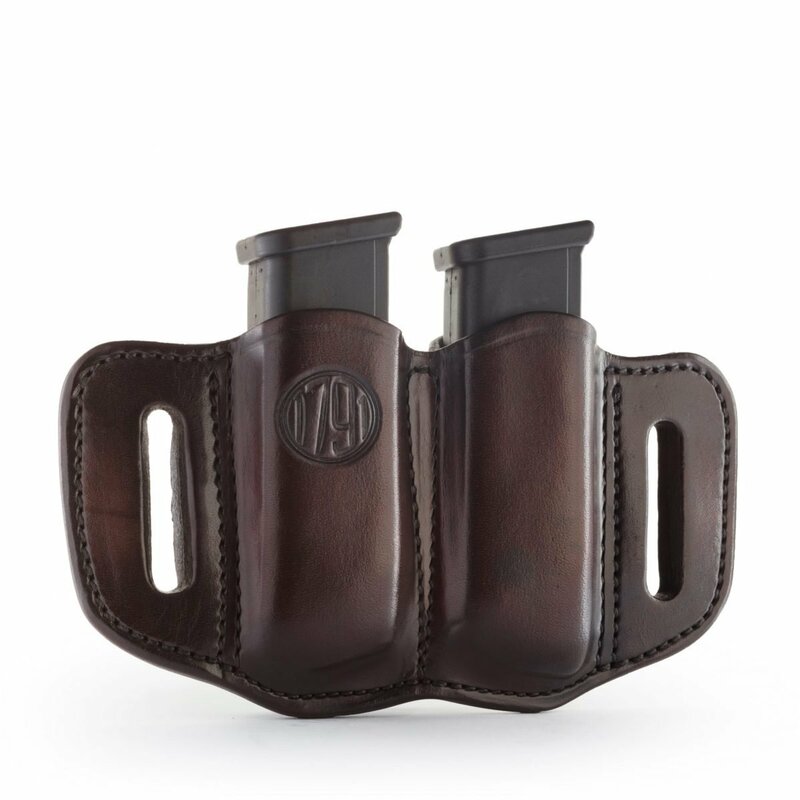 Proponents of double stack mags prefer the handling and grip, and say it’s worth losing some of the capacity. The shorter interface between the shooter’s hand and the grip of the gun offers better contact with the trigger for shooters with smaller hands. 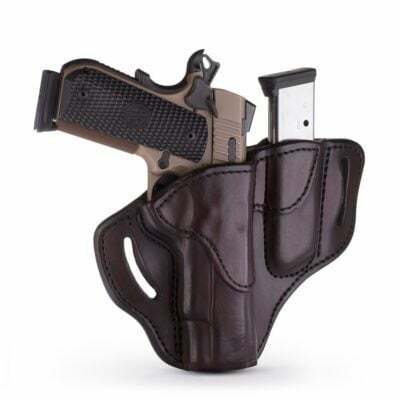 For concealment purposes, a single stack gun is slimmer and easier to conceal on your strong side, even outside of the waistband. 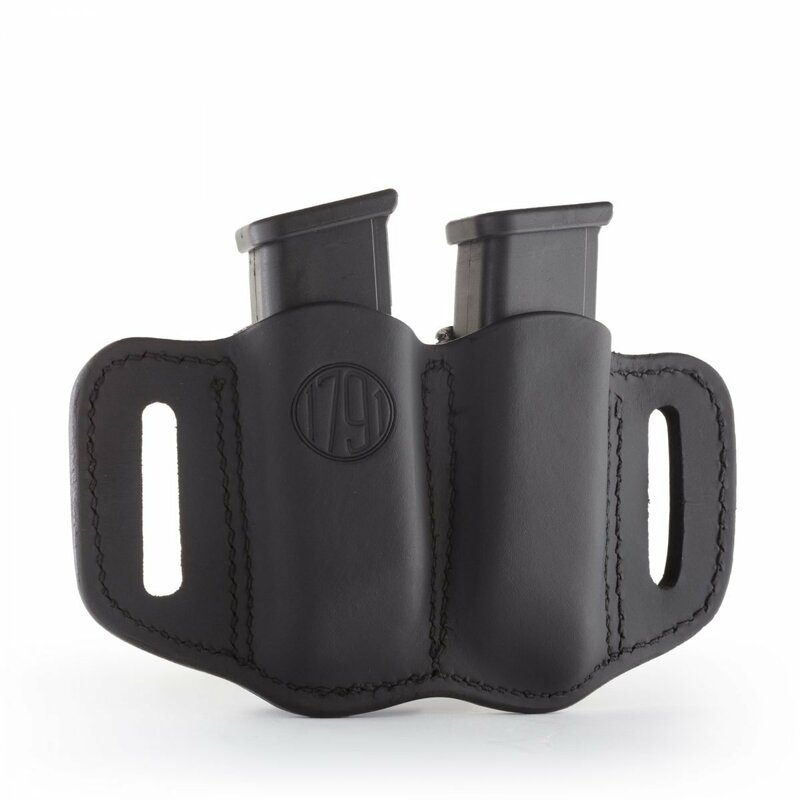 Works best with Polymer magazines, metal variations may need Velcro or fabric on the inside to increase retention. 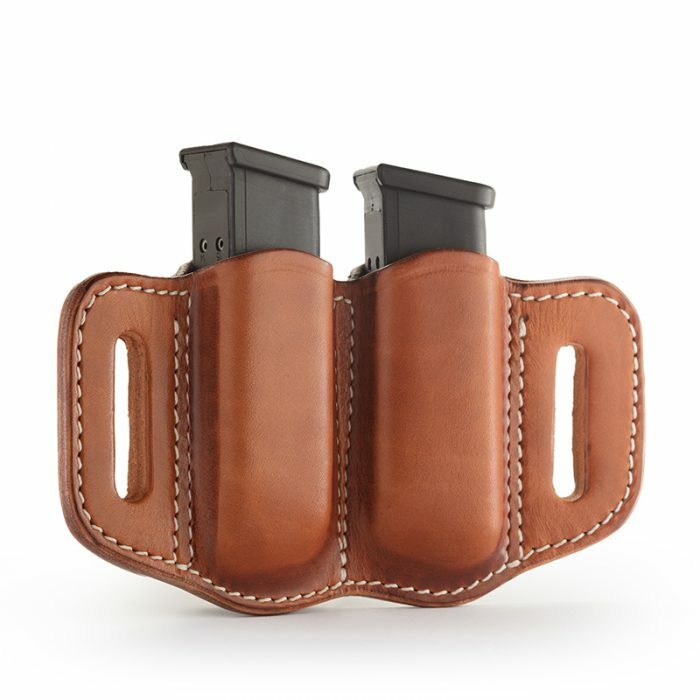 Made with premium 100% Certified American Heavy Native Steerhide, the 1791 Gunleather leather magazine holster for double stack mags is designed to hug two extra rounds of ammunition, using the friction of two pieces of sturdy material double-stitched together by fourth-generation leather artisans. 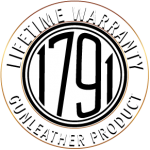 The universal sizing is great for 9 mm, 10 mm, 40 caliber, and 45 caliber munitions. This ambidextrous double magazine holster is typically worn OWB on a 1.5” gun belt. Unlike other mag holsters, we don’t go overboard in the design – it’s simple, but classic.